If you’re looking to refresh and change up your game artwork then try our new custom hand drawn pinball cabinet decals for Judge Dredd. This is the Blue Edition, based on the comics, an alternative side art set. Our prints are the highest quality available in the world, printed with eco-friendly solvent inks guaranteed not to fade, UV protected and laminated leaving a beautiful soft gloss sheen. Protect your pinball investment and make your Judge Dredd flipper look like a brand new machine! 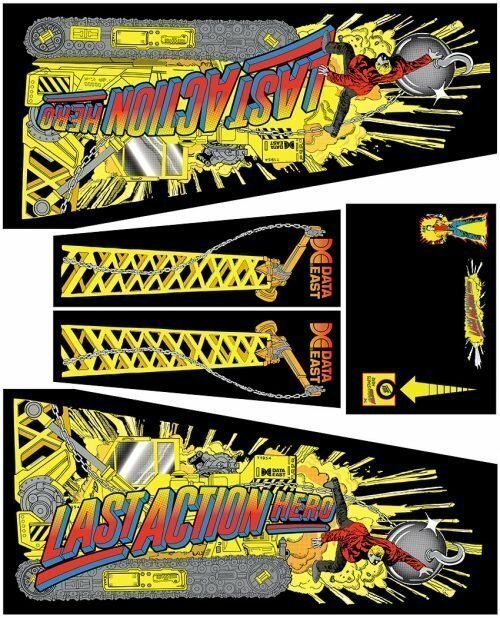 Judge Dredd Blue (Alternate) alternate pinball cabinet decals are a new custom artwork set.